The Saga of Sepharda ሰፕሃርዳ .. by Debra Katz – Billy Gambéla ጋምበላ ። Afri-Asiatic Anthropology Blog. African Americans all Sprung from the Same Well ! with her small tribe of fellow Homo Sapiens. Her people were destined to be the only species of hominids that would survive, but right now they’re not the only “people” by far…Neanderthals and Homo Erectus still dominate most of the planet. But this lady is special because of all the women walking with her, she alone will be the direct maternal line ancestor of every person alive on the planet today. You may have read about her…“Mitochondrial Eve” and her haplogroup designation is “L”. In the heart of Central Africa a baby girl is born into Eve’s tribe …she is just like her mom, except that one letter in her mtDNA mutated. She didn’t know it, but she was the beginning of a new haplogroup branch—L2—that would become the most common haplogroup in Africa. About this time a small band from another branch of “mtDNA mutants”—L3—decided to seek better weather and food by bravely crossing the Gate of Tears off the horn of Africa. They entered the Arabian peninsula—-and from there, this band of 200 or less people would go on to populate the rest of the World. But their story is not ours…for the L2 baby girl and her descendants all stay in Africa. Among an L2 tribe living in West/Central Africa, another baby girl is born with a new mtDNA mutation…making her the start of a new haplogroup branch L2a. Her descendant daughters remain without much mtDNA change for over 50,000 years! Over that time, some of her people start to migrate across Central Africa to the East area now called EThiOpiA. (now Israel, Syria, Jordan, Turkey). Somewhere in North Africa, EgYpt or the Levant, a baby girl is born with yet another mtDNA mutation…starting the haplogroup line known as L2a1. Some of her tribes people intermarry with the newly forming Hebrew tribes in the Levant and become Hebrews/Jews. It is among this group of African Jews that our common ancestress was born! For fun I’m going to call her Sepharda Fulanivich—a name that hints at our group’s main strains. but she was unique in the way we are all unique…and special because all our maternal lines would lead back to her. but always ready to appear again if and when a blue-eyed spouse came along. One of Sepharda’s descendant daughters was part of a group of Jews who fled the Roman invasions of Judea and headed back into North Africa. They formed a tribe that came to be known as the Fulani. At about this very same time—give or take 100 years or so!—another of Sepharda’s descendant daughters also fled Judea, heading with her family to Spain (Sepharad, in Hebrew). They may have gone up through Italy first or directly to Spain…we can’t know as yet. But one way or another, they became Sephardic Jews. For many centuries, Spain was a place where Jews/hebrews flourished, but things started deteriorating after the Moors left and the Pope’s intolerant minions came to power. Many Jews left the country, heading for France and then Bavaria (Germany), where they mingled with the Ashkenazi Jewish populations already living there. Ashkenazi Jewsin our group—the set of 13 families who match HVR1&2 exactly. This was a lousy time period for almost all of Sepharda’s descendants. First we go back to West Africa and find that some of her Fulani daughters are among the ones being captured by the British and sent to the Caribbean and the new colonies in America. Indeed, because we know most of these enslaved daughters of Sepharda were sent to North Carolina originally, we can predict that their common ancestress lived when the trade to that area was peaking—1720 to 1760. These daughters are the ancestors of almost all of our African-American matches. British West Indies and by ~1650 CE there was a whole bunch of Sephardic Jews settled in Jamaica and the Bahamas. In 1691 another “auto de fe” (more “burning of Jews”) in Toledo Spain sent another wave of Spanish Jews to Jamaica. Many of these Jews came as “singles” and ended up intermarrying with the population from the British Isles that had settled there. And among those migrating Spanish women were Sepharda’s daughters, many of whom married non-Jewish Brits and lost the memory of their Jewish past. Their lines led to our West Indies matches. By ironic coincidence, Jamaica was also a drop for slave traders and it looks very possible that some of our Jamaican matches are from the African slave branch of our line rather than the Sephardic Jewish branch! Getting back to those Ashkenazi Jews, we can spell out their story a little more. interestingly, a very recent study found what was to them a startling level of “L2a” haplotypes among Roma gypsies in Slovakia! About 1700 or so, some of the Polish daughters migrated north, where some lines settled in Belarus and others went up farther into Lithuania and Latvia . Back in West Africa, right now, some of Sepharda’s daughters are living and don’t even realize all of us cousins elsewhere in the world are thinking of them. That is also true no doubt in Spain…and all the other places our lines have passed through. Some women moved on, but not all of them. And imagine if Sepharda could come back to life and meet each of us and realize that without her existence….none of us would be here. 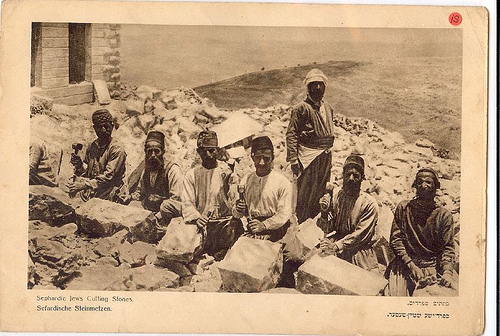 Sephardic Jews cutting stones in Jerusalem – Kurdish Jews. Thanks for the Article Sassa !! Very entertaining read with the incorporation of mtdna and migrations, narrated in Story form..
Haplogroup L2a1(H052) motif in Europe and Hebrew/Jewish Ancestry..
Who emigrated from Central and Eastern Europe, and their U.S.-born descendants. Including Sephardi Jews, Mizrahi Jews, and a number of Converts. mitochrondrial regions displayed, with the exception of african-asiatic M1..
Haplotype 223, 278, 294, 309, 390 (L2a1).. The Levant Pre-Pottery Neolithic B site at Tell Halula, Syria, dating from the period between ca. 9600 and ca. 8000 BP or 7500 – 6000 BCE. HVR1 -124c, 223t, 278t,362c,519c and HVR2-73g,263g, 315.1c. Welcome Jeryl, thanks for your comments..
With a substantial representation again in so called African Americans. It has spilled over into North Africa and on into the Near East as well. There is very little dispersal into either East Africa or even Central Africa, but several derived types are present in southeastern Africa. Surrounding Jerba Islands. with relation to Fulani, Songhai and Hausa. In addition your west african distribution also shows relation to inhabitants of the Santiago Islands (cape verde). May ask you, in which country are you located? Which Genetic company did you use for mtdna? Did you tests for the Y–chromosome or plan to? 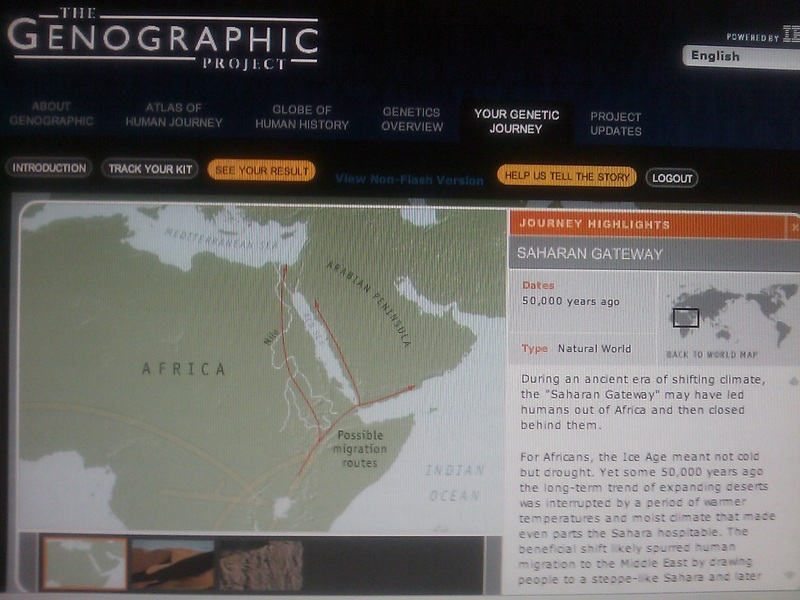 Ancestry By DNA 2.5 which gave me these resuts: Sub-Saharan African-88%, European-9%, and East Asian 3%. My name sounds like a boy. I’m a girl. Have you found any hebrew or non-hebrew matches? Definitive Haplogroup and TMRCA ? Thank-you for your quick response! I think I will take the other test in the near future. Yes, I have found matches. Libyan Arab Jamahiriya (Sephardic), Israel (Libyian Jew). I have many more HVR1 matches which also include L3b1a from Chad and Gambia. I am pleased with my results but I would love to find out more! Kru from Liberia, the Fulani from Guinea Bissau. Yes, you are correct and I am from North Carolina. Jeryl, I see you have done a lot of testing and research yourself. (Sara, Saraw, Saura, Suali, Sualy, Xualla, or Xuala, Charaw, Charraw), were a tribe of Siouan-speaking Amerindians first encountered by Hernando De Soto in 1540. The name they called themselves is lost to history but the Cherokee called them Ani-suwa’ii and the Catawba Sara (“place of tall weeds”). They were last noted as a Distinct Tribe among the Catawba in 1768, when they numbered only 50-60 individuals. During the Revolutionary War, they and the Catawba removed their families to the same areas near Danville, Virginia where they had lived earlier. The state-recognized Lumbee Indians of Robeson County, North Carolina and the Sumter Band of Cheraw Indians of Sumter County, South Carolina claim descent from the Sara/Cheraw. Combined with the Diversity of the Human Family. I will stay in touch, and keep me informed of your discoveries along the way..
And lastly the Coding Region (00575–16000). The last mtDNA test that a person would need to take. A Perfect match indicates a common ancestor in recent times. Subclades is provided with this test. Without the Coding Region we cannot be certain..
With the development of the exploitation of rubber, cocoa and sugar in Northern Brazil, Belem and Manaus again focused the bulk of the Emigrants. And then the Capital, Rio de Janeiro. Hispanic America was a very attractive location for Moroccan-Jews. The Amazon jungle of Peru and Colon in Panama. Other groups settled in Paramaribo (Suriname) and in U.S. cities like New York, Philadelphia and Baltimore. Iquitos in the Peruvian Amazon, was a popular destination and many of the new settlers were from Brazilian and European companies in the Exploitation of Rubber. 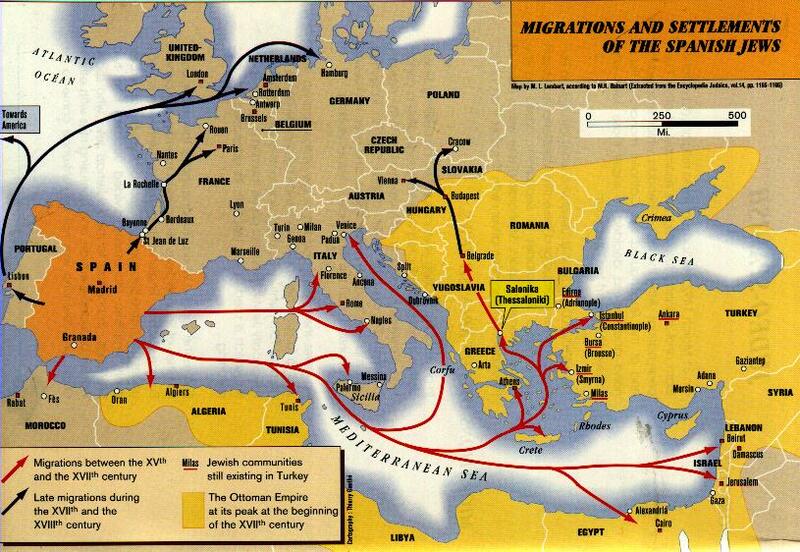 Sephardic Jews arrived in the country and almost a decade ahead to the great wave ashkenazim. Moroccan–Jewish migration to South America has numerous singularities. The Homeland of this Community is a distinctive feature that allows us to shed light to the primary forms of contact between Latin America and the Arabic world. Is a Romance language derived from Old Spanish. Black Ladinos were Spanish-speaking Black Africans born in Latin America, or Exiled to the Americas after spending time in Castile. (i.e., those captured in Africa). Other languages where Sephardic exiles settled around the world, primarily throughout the Ottoman Empire. 1212 C.E. Spain	Rioting and blood bath against the Jews of Toledo. 1215 C.E. Rome	Lateran Council of Rome decrees that Jews must wear the “badge of shame” in all Christian countries. Jews are denied all public sector employment, and are burdened with extra taxes. 1240 C.E. Austria	Property confiscation. Jews either imprisoned, converted, expelled, or burned. 1255 C.E. England	Blood libel in Lincoln results in the burning / torture of many Jews & public hangings. 1264 C.E. Germany	Council of Vienna declares that all Jews must wear a “pointed dunce cap.” Thousands murdered. 1270 C.E. England	The libel of the “counterfeit coins” – all Jewish men, women and children in England imprisoned. Hundreds are hung. 1290 C.E. England	King Edward I issues an edict banishing all Jews from England. Many drowned. 1291 C.E. France	The Jewish refugees from England are promptly expelled from France. 1292 C.E. Italy	Forced conversions & expulsion of the Italian Jewish community. 1298 C.E. Germany	The libel of the “Desecrated Host” is perpetrated against the Jews of Germany. Approximately 150 Jewish communities undergo forced conversion. 1298 C.E. Franconia, Bavaria & Austria	Reindfel’s Decree is propagated against the Jews of Franconia and Bavarai. Riots against these Jewish communities, as well as those in Austria, result in the massacre of 100,000 Jews over a six-month period. HVR1 -16124C, 16223T, 16278T,16362C,16519C and HVR2-73G, 263G, 315.1c. 750 G, 1438 G, 2706G, 3450T, 4659A, 4769G, 5773A, 6221C, 7028T, 7859A, 8701G, 8860G, 9449T, 9540C, 10086G, 10373A, 10398G, `10873C, 11002G, 11719A, 12705T, 13105G, 13914A. Can you explain these numbers. Thanks! Welcome back Jeryl, and Congratulations..
You belong to the subclade L3b1a. The Number 11002G in your Code Region designates your haplogroup to L3b1a. The recent high-resolution mtDNA studies are offering the possibility of shedding light on ancient and recent human migration events, allowing to inferring more precisely about the geographical origin of lineages observed nowadays in a certain region. The Chadic Expansion from East Africa towards Chad Basin in the last 8,000 years or historic movements as the Diaspora of Jews, which could not be approached in previous more limited mtDNA surveys. I have not found any exact matches on your sequence of numbers, however i did find some information on these ethnic groups related to your clade. characterization of mitochondrial DNA lineages. Two South African, Six Americans (most probably African-descents), Two East Africans, Two Central Africans, Five Near Eastern and Two South Asians, being affiliated in Haplogroup L3b1a. These findings confirm our earlier discussion of your related ethnicities.. I had my sample tested in the Genographic project a few years ago. Since then I have done an upgrade for HVR1 & HVR2 on FTDNA. Mozambique (8.6%), 2 from Sao-Tome/Principe (1.6%) and 2 from Angola (1.2%). (8 African 4 European and 2 Middle east). But I am searching to see through my sequences what ethnic affiliation I am.. Your HVR1 sequence with 16286 is associated with the subclade L2a1a or L2a1a2. Haplogroup L2a1a is further defined by the Coding Region by this marker np 3918a. Both defined by transitions at quite stable HVS-I positions. Both of these appear to have an Origin in West Africa or North West Africa. Population Ancestral to present-day Southeastern Africans. Bantu Expansions, as also suggested by Pereira et al. (2001). L2a1a occurs at its highest frequency in South Eastern Africa (Pereira et al. 2001; Salas et al. 2002). Found among Yemenis have exact matches within Mozambique sequences (Pereira et al. 2001; Salas et al. 2002). Ronga, Sena, Shona, Tswa, Songhai, Tongas, Bambara, Mende..
definitive haplogroup, migration and related ethnicities. Mtdna Control Regions for L2a1a (sp37) report via Brasil. it is supposed to be 16286T instead of 16268…..
You have been most helpful! I will be reading all of the links that you provided..
As for your marker 16286T, it would not make a difference to my response. If you had a mutation 16286C, that would probably make a difference as to migration and ethnic groups. To have a letter C and the end of 16223C or 16286C are mutations from the T transitions. However they are sometimes used to Distinguish African populations from Out of African Populations. Most African mtdna studies on Haplogroup motifs may not always display these T/C Nucleotide Base Mutations. Please feel free to tour the blog and ask questions, I will be updating information as it comes available.. I had my FGS done! Welcome back, and congratulations on your new found results! My estimation of your haplogroup was right on point, Your HVR1 sequence with 16286 is associated with the subclade L2a1a or L2a1a2. Your Haplogroup L2a1a is further defined by the Coding Region by this marker np 3918a. We have one of the oldest sephardic cemeteries in Europe. I think that nobody didn’t make serious researching about it. There are many special ornaments on tombstones and we have no right explanations for it. 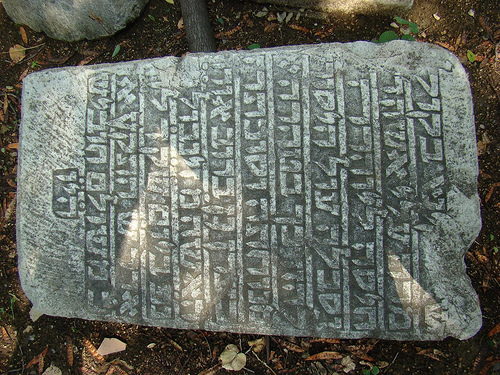 Can you help our small Jewish community to preserve this very rare and rich cemetery? 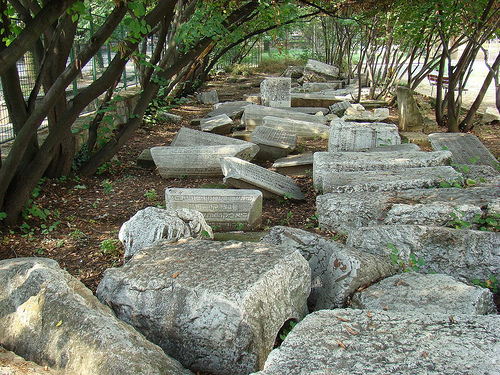 I have not heard much about the sephardim cemeteries in Sarajevo, however i have found some articles that i will list below. This particular article is about the relation and broad spectrum of ethnicities related to Sephardic Hebrews and Hebrews alike. This article also deals with the mitochondrial relation (mtDna) of the maternal Sephardic Hebrews from North Africa, the Levant, Asia, Asia Minor and Europe as well as the Americas and Caribbean. This article above ” The Saga of Sepharda” is by Debra Katz, I have also commented on this related subject matter. Perhaps, you can display the ornaments on the tombstones that you speak of, as i will direct some of my research into the Sarajevo Sepharic Hebrews to further conclude this article. Furthermore i will continue to disseminate information on Africa, Asia, Europe and the Americas, and Awareness on this Subject matter as well as Others..
My mtdna results are nearly identical to yours! My HVR1 are indentical to yours. that is amazing!! It is amazing! Where do your ancestors in the U.S. hail from? I have Ashkenazi Jewish ancestry. My testing was done by AncestrybyDNA. My mother is Caribbean American. Welcome Jacqueline, and thanks for sharing your genetic information. This is article by Debra Katz, elaborates a great deal of Ashkenazi-Hebrews as well connecting other Hebrew Ethnic Groups from around the World. Please subscribe to my blog to be informed of the latest information as it becomes available.. Thanks for your response. I am learning about Ashkenazi-Hebrews and Hebrew Ethnic Group with my genetic information. I was curious about my DNA. I read interesting article on this site, especially about Saga of Sepharda. Please have a look at my previous discussions and comments, articles with other individuals about the Hebrew and African-Asiatic Diaspora. There are plenty of Hebrew Ethnic groups in Africa, (West, North, Central, East and South). These groups are spread out in Asia, Europe and the Americas. I try my best to educate people that one cannot always tell ones ancestry through phenotype or by the erroneous use of race classification.. Thank you for educating me about Hebrew Ethnic groups. I will read the blog articles. I have not tested my Paternal side yet. I plan to do it this year. Thanks for the blog articles. I would like to learn more about my mt DNA migration in Africa. I already have my test results. Can I have it done with Genographic Project? There is further testing that you can do as well. There is a test called the FGS (full genome sequence) which is a test to the entire genome. Genographic only adminsters the HVR1, Famiy Tree Dna provides testing for the FGS test. This is a process in which your haplogroup get placed in its updated Haplogroup. This determines the complete DNA sequence of an organism’s genome at a single time. This also entails sequencing all of an organism’s chromosomal DNA as well as DNA contained in the mitochondria. For example you belong to the macro-haplogroup L2 which has its sub-haplogroups L2a, L2b, L2c, L2d etc. Your Haplogroup is L2a, and you belong to the subclade L2a1 which can be processed further to a FGS haplogroup. Haplogroup L2a, as far as its migration became prevalent in North Africa around 50,000 years before present, Spreading North Eastern and North West along the Sahel, during the Last Glacial Period or some what earlier.. Example: North Central Africa such as Modern day Sahel, Tunisia near Libya and Algeria..
Tunisia, is inhabited by four ethnic groups: Berbers, Arabs, sub-Saharans, and Jews/Hebrews. Your Haplogroup L2a1 date of origin is around 33,700 years before present. which is prevalent in the Sahara and North Africa as well..
You can also join other DNA forums to share and also acquire new information as it becomes available. Thanks for responding to me. Thanks for the wonderful information you had given me. You are the best. I will take the FGS test soon. I had been reading links and blogs. I will be in touch when I update my haplogroup. Thanks for sharing your information about your Fulani Heritage. The Fulani are very diverse and are found through out West Africa, Central Africa, East Africa and North Africa. The countries in Africa where they are present include Mauritania, Senegal, Guinea, The Gambia, Mali, Nigeria, Sierra Leone, Benin, Burkina Faso, Guinea Bissau, Cameroon, Côte d’Ivoire, Niger, Chad, Togo, the Central African Republic, Liberia, and as far as Sudan and Egypt in the East. Fulani are considered to be nomadic.. The Fulani also shares genetic ancestry with some hebrew ethnic groups as well. I am Haplogroup H10 which is European and my brother is Haplogroup E1b1a which is African. We have the same parents and my HVR: 16221T, 16519C , HVR2: 263G, 309.1C, 315.1C and both my brother and I are showing indications of Ashkenazi Jewry and my brother has a Sephardic match. Most of my brothers matches are with Haplogroup G, G2a (Germany) ,I2b1 (Germany, Netherlands, Germany, Demanrk and Wales) and T1(Iran), H1 (India, I (Norway). My Haplgroup H10 is Finland, Italy, Spain, khazankistan, Ireland, Demark, Germany, British Isles, France, Belarus). My geographical ancestry is Finnish, Russian and Yoruba. Our great grandfather was German and our mother’s mater lineage is European. .
Hi! I just received my results on a full-sequence mt-DNA test and I am having difficulty understanding if I am a descendant of Jews or not. If I am, how do I know how far back I need to look to find my most recent ancestor so I can be affirmed? Thank you for any insight you may provide. Thanks for stopping by and sharing your information.. Your Haplogroup H is a descendant of haplogroup HV. The Cambridge Reference Sequence (CRS), the human mitochondrial sequence to which all other sequences are compared, belongs to haplogroup H2a2a. Several independent studies conclude that haplogroup H probably evolved in West Asia c. 30,000 years ago. It was carried to Europe by migrations c. 20-25,000 years ago, and spread with population of the southwest of the continent. Upon further investigation it would seem you also share ancestry with these famous haplogroups as well..
Marie Antoinette’s DNA taken from a lock of Marie Antoinette’s hair, cut from her as a child, matched DNA believed to be from her son, King Louis XVII. A detailed discussion on the DNA analysis of Marie Antoinette, the putative heart of Louis XVII, and Carl Wilhelm Naundorff is available. The Canadian portrait artist Christian Cardell Corbet belongs to mtDNA Haplogroup H.
Hope you find these references useful…. Its interesting that your research suggests an Italian, Spanish migration route of these L2a off-springs, this was the migration location finding of my ancestors, the data also points to Fulani ancestry, we now reside in Jamaica, by way of the Spanish Slave trade, we are Jamaican Maroons.